I do agree that nuts are calorie dense munches. But, recent research has shown something really interesting that is in contrast difference between the prevailing belief about nuts. 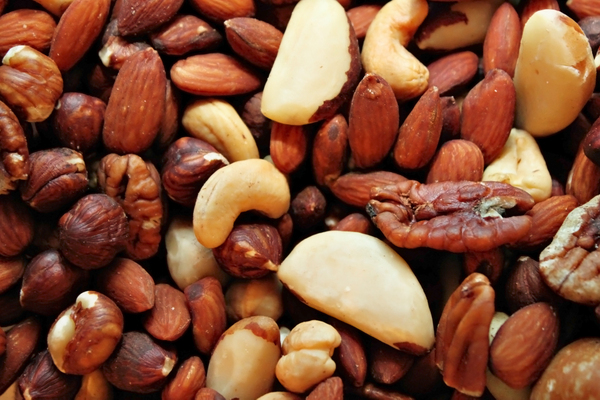 The study suggests that people who include nuts in their diet are leaner. Add bonus to it – these people are at a lower risk of some of the deadliest health conditions including breast cancer and cardiovascular conditions. According to New England Journal of Medicine, consuming a handful of nuts a day could even bestow you with a longer life. 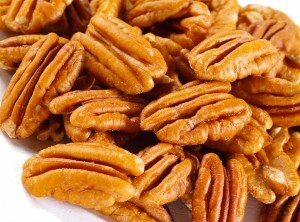 Do you know that 1 ounce of pecans offer you less than 200 calories, with about 3 grams dietary fiber? Pecans are among the best antioxidants of the world. Along with that these crunchy munches are rich sources of vitamins and minerals including zinc, calcium, potassium, vitamin E, and vitamin A. Antioxidants, as we all are aware, have a some important roles in your health. They are essential to avert the oxidative damages induced by free radicals and shield you from chronic health conditions such as Alzheimer’s disease, various types of cancers, and even age-induced vision disorders. Pecans also prevent the onset of premature ageing, and thereby bestow you with a glowing, young skin. Enjoy them as entrees or desserts. I love these crunchy, green hued nuts. 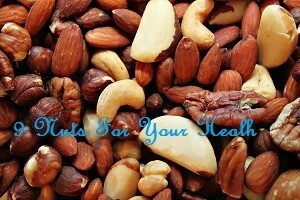 These nutritional treasure troves hold the lowest levels of fat and calories among the nuts. Packed with an affluent amount of copper, manganese, and vitamin B6, these nuts are known to be good for your heart and waist. A research conducted at the Harvard University tells you that including a handful of these nuts in your diet could help you live longer. Eat them as your snack in between meals to keep you fuller. 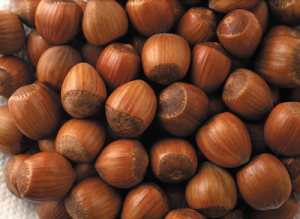 Hazelnuts are famous ingredients of the lush and luscious chocolates and chocolate spreads. What is lesser known is that they are wonderful sources of fiber, with an ounce giving you about 3 g. You also get vitamin E, thiamin, magnesium, and copper in admirable levels. The good news is that you hardly intake 180 calories from an ounce of these nuts. They are powerful enough to maintain the levels of cholesterol in blood, and thus safeguard your heart. The proanthocyanidins of these nuts are rich with anti-inflammatory properties. Enjoy it as your lunch with a cup of sugar free non-flavored yogurt. Almonds are one of the most recommended snacks while you are on weight loss with a serving yielding you about 162 calories. One serving is about 23 almonds. It gives your 14 grams of unsaturated healthy fat, 6 g protein, and 4 g fiber. It also gives you a good deal of calcium with an ounce rendering 75 mg. 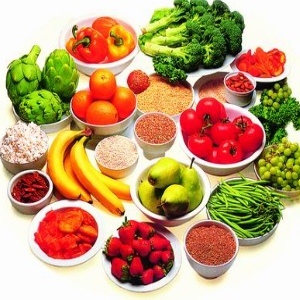 The presence of fiber make it ideal for those who are on weight loss. It is also beneficial for your heart and diabetes. 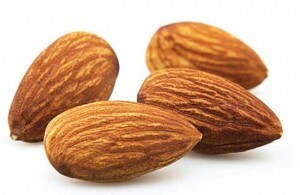 Almonds are good for your skin and hair too as they eliminate the free radical damage, allowing your skin to glow. Have them as snack in between your meals to prevent overeating. Cashews are crunchy delights everyone loves. One serving of whole cashews [17 cashews] gives you about 4 g protein with just about 170 calories. It is a rich source of unsaturated fat with a very low glycemic index. An excellent source of some really essential minerals such as magnesium, copper, and iron, cashews are believed to help in lowering the mortality rate. It is beneficial to keep a tab on blood pressure, while preventing cancer. 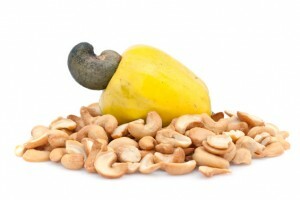 Good for your bones and nerves, cashew nuts are safe for your heart too. These are more commonly used in preparing some of the world’s most lip smacking delicacies. One serving yields about 200 calorie with a good dose of monounsaturated fats. Replenished naturally with manganese and thiamin, these nuts are good for your heart. Studies conducted on the goodness of these nuts for mankind suggest that they can bring the levels of cholesterol under control, thus lowering the risk of the person developing coronary artery disease. 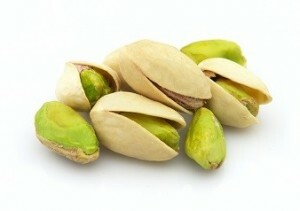 These huge nuts are rich sources of selenium with a single serving yielding 8 times your RDA. 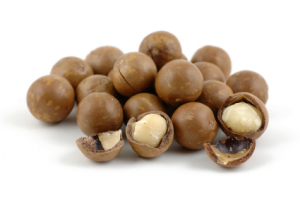 A powerful antioxidant, these nuts are proven to be effective anti-cancerous agents. 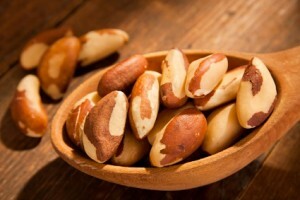 Loaded with manganese, phosphorous, and copper, Brazil nuts pep up your immune system. They are not as heart friendly as other nuts due to the presence of about 4 grams of saturated fats in one serving. Use it in lesser quantity in your trail mix. This is super food of all sorts and they have earned that tag for a fabulous reason too. Loaded with alpha-linolenic acid, these nuts are potent anti-inflammatory agents. One serving of walnuts yiled 2 g fiber and 4 g protein along with an admirable dose of minerals such as phosphorous and magnesium. Studies conducted on walnuts vouch for their amicable role in weight managements, cancer preventing skills, and diabetes management. They are good for the heart, skin, and hair. 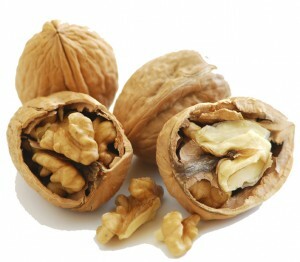 They are the true nuts, but do have a prominent place when it comes to their goodness for human health. Loaded with a rich 7 gram protein per serving, these calorie rich munches are wonderful sources of the vitamin B family. An eminent source of magnesium, it is known to be beneficial for cardiovascular health. They also render phytosterols, the ingredients that possess the ability to curb the levels of the bad cholesterol. 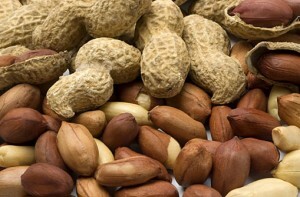 Peanuts are also rich in resveratrol, the heart friendly ingredients. Enjoy them roasted or steamed, sans salt or just ground them into peanut butter, free of added sugar and salt. These 9 nuts have their own set of benefits for mankind. Each one is different; each one is unique. Pick the ones of your choice and create a trail mix so that you will be able to reap the goodness of multiple nuts at a single go.